Hello again. 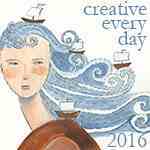 I hope everyone is well and is managing to keep sane at this impossibly busy time of year. I feel surprisingly calm and unusually organised, which is a bit of a shock to me as I had a lot more organizing to do than I would have normally. 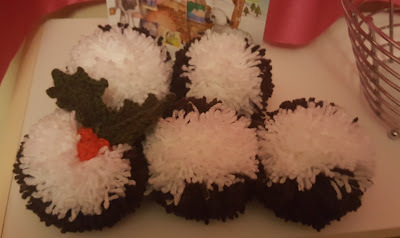 This is because my little family is coming to me for Christmas day for the first time in a long time and I want to make it a special day for them like they have done for me over the last 6 years or so. So over the last few weeks I have bought and wrapped presents, food shopped and thoroughly deep cleaned the flat. I know that millions of people do this every year but this is a big achievement for me as I really struggle to cope with everyday tasks and often need help with things. 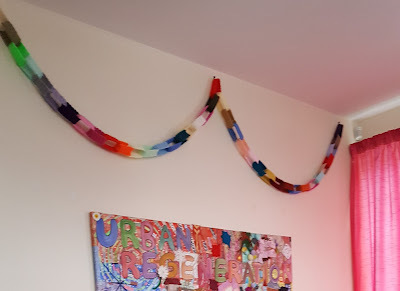 I have also spent a lot of time making decorations. I don’t usually decorate or put up a tree mainly because I’m not normally here, but this year I was determined to be a bit more festive. As I didn’t have a lot of spare cash to buy decorations and don't really go in for the glittery type of Christmas these days, I set to with the yarn and crochet hook instead. 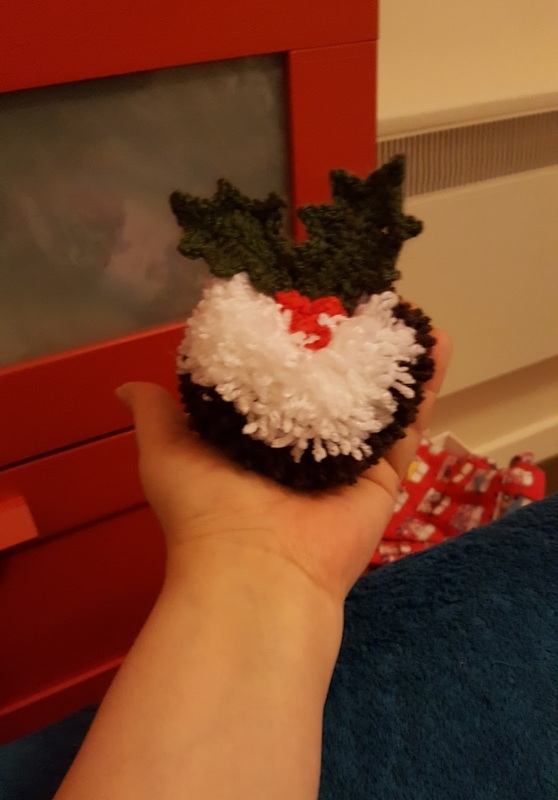 I began by making some pom pom Christmas puddings. The pattern for the holly and berries comes from this book. ...mainly because I got distracted by making some new crochet paper chains to add on to my existing ones, using this pattern here. I lost a bit of confidence and nearly changed my mind but in the end I persisted with it. I looked on Pinterest for inspiration. 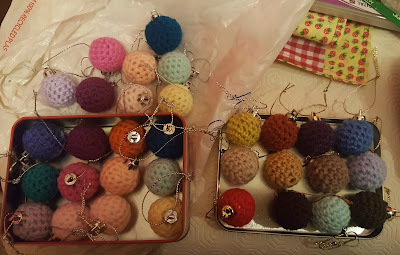 As the plan grew, so did the pile of baubles I crocheted around. I was then ready to create/ decorate my tree. 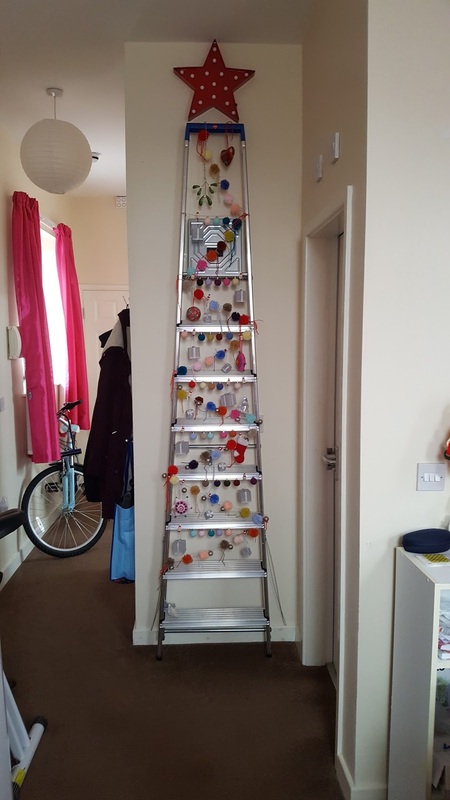 I moved some things which I'd piled in front of my tall step ladders and placed them centrally against the wall. They live in this spot permanently as there is no cupboard to store them in and they are visible from my living room. I began by added the lights, working diagonally across the front of each step. It took a long time to secure them and to arrange the pom poms evenly. I then threaded the baubles onto bakers string and tied these horizontally across the bottom of each step so that the baubles lined up neatly. I added the few decorations I had, trying to space them evenly down the full length of the steps. 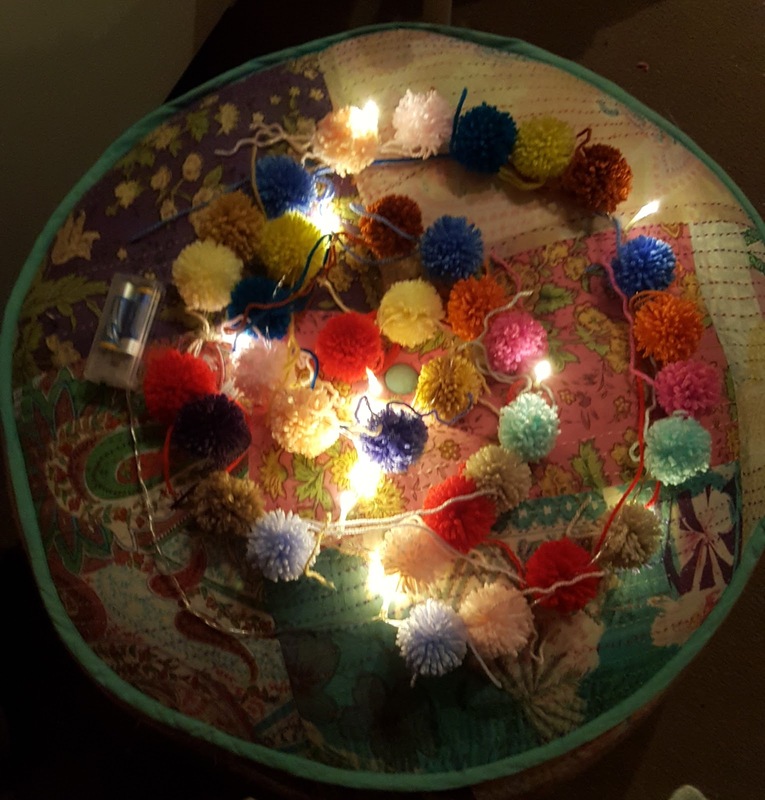 I completed each section with a couple of colour-change light up Christmas parcels. The final job was to add the tree topper, a bright red light up star! 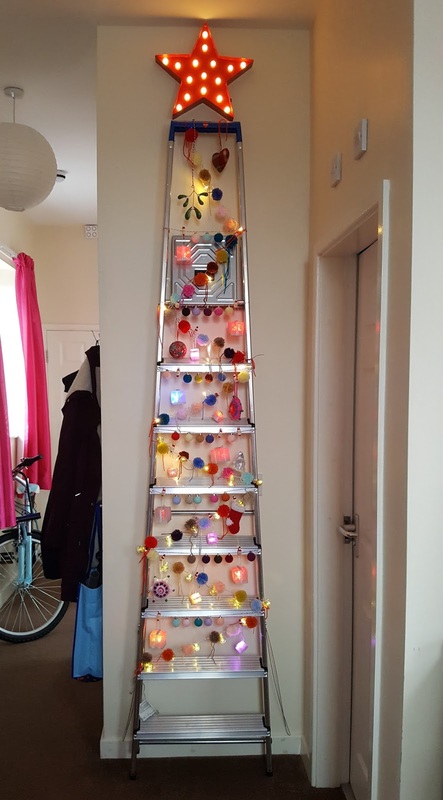 So here it is, my alternative Christmas tree! Do you like it? I think it is hilarious and cute at the same time. It also looks OK unlit which is good because the string lights, Christmas parcels and star are battery operated and I'm almost certain to run out of batteries at some point. I feel like it's a bit silly and there is an element of irony with it too. Mainly because my ceilings are very tall and I need to use step ladders to switch on the lights on the star and the upper Christmas parcels! You did a great job on your ‘tree.’ I love it! It was a lot of fun to do and makes me chuckle every time I look at it!